The government has decided to increase public transportation fares by 10 percent across the country effective from Sunday. 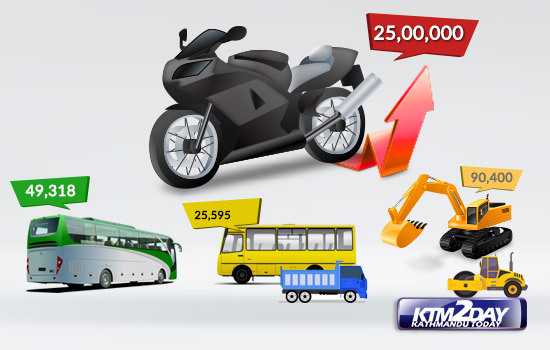 The transport entrepreneurs earlier had halted advanced booking of tickets for Dashain putting pressure on the government to either increase the fares or to slash the price of petroleum products . The government has agreed to increase transport fares by 10 percent for now and will adjust the fares by mid-November, informed spokesperson at the Department of Transport Management (DoTM) Gokarna Upadhyaya. 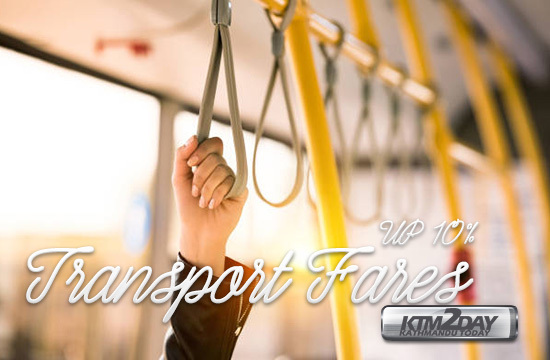 “The government has decided to increase the public transport fares by 10 percent and will form a three-member committee for the adjustment of the fare rates. The committee will submit a report within two months,” he said. General Secretary of Federation of Nepalese National Transport Entrepreneurs (FNNTE) Saroj Sitaula said he expressed inability of the entrepreneurs to start advance booking of until either the existing fares or fuel price are changed during the meeting between the entrepreneurs and the government at the Ministry of Physical Infrastructure and Transport. He said that entrepreneurs, who have been charging the same fare from the commuters despite repeated hikes in fuel price, are adamant on not operating the vehicles until the fares are raised.